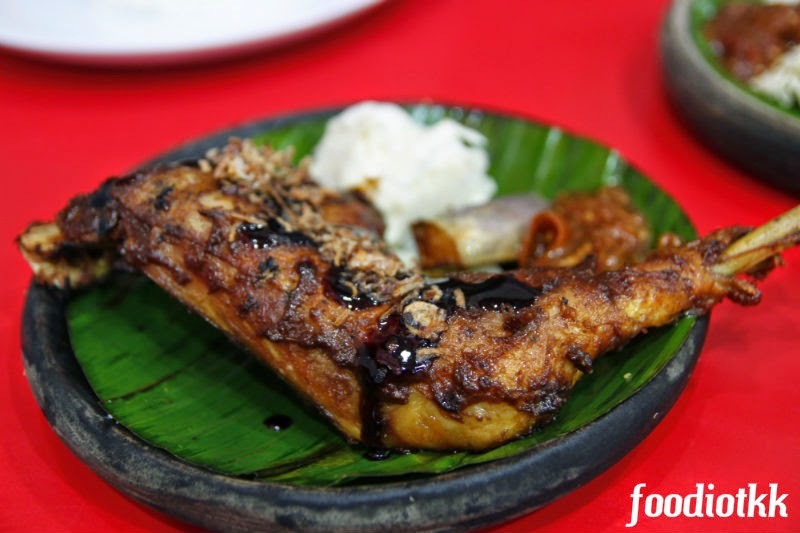 After sampled many Ayam Penyet ("Smashed" Chicken - a kind of Indonesian Cooking) in Kota Kinabalu, I came out with my decisive factor whether the dish is good or not. Maybe it is similar as your thought as well! 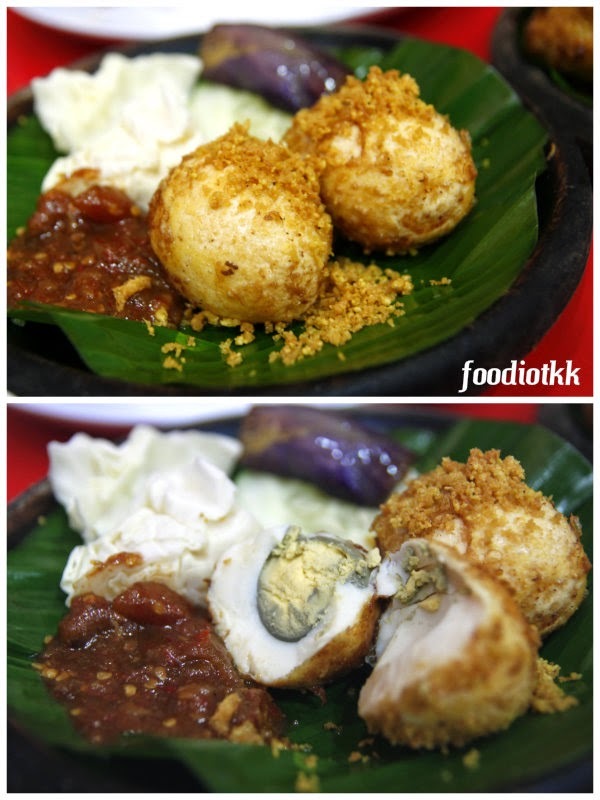 First, regardless deep fried or grilled version of the Ayam Penyet, the chicken must retain its juicyness. That's the fundamental of any good chicken dishes - like KFC, it must be Finger Licking Good. 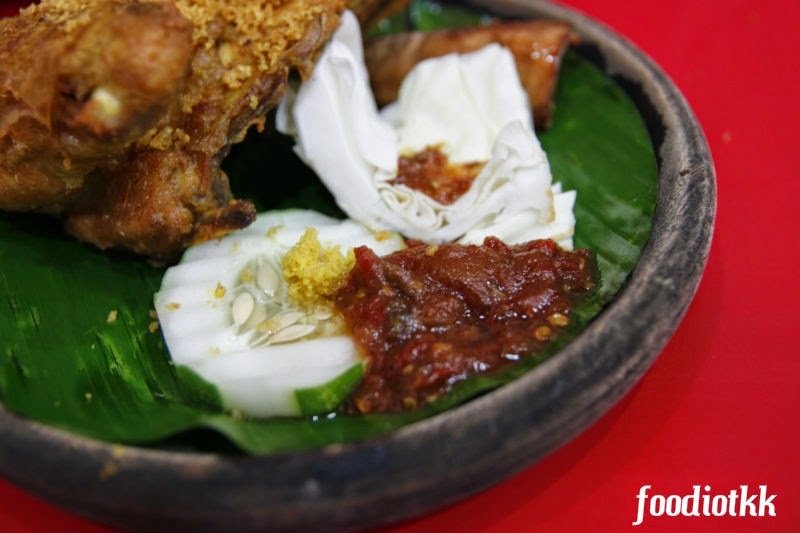 Second, the sambal (chili paste), or more specifically - the chutney which consists of chilies, belacan, tomatoes and other spices, must be equally good as the chicken. I can assure you every restaurant has their own recipe which keep well under the mortar. Third and last criteria I will see for a good plate of Ayam Penyet is the condiments. Points deducted for not seriously pick the vege - normally a plate of the chicken would comes with a few pieces of cucumber, some uncooked cabbage and a piece of tempeh (soybean cake which is slightly fermented - thats why the texture is a bit sticky). I am not a huge fans of tempeh but Indonesian food without tempeh is definitely lost some authenticity. 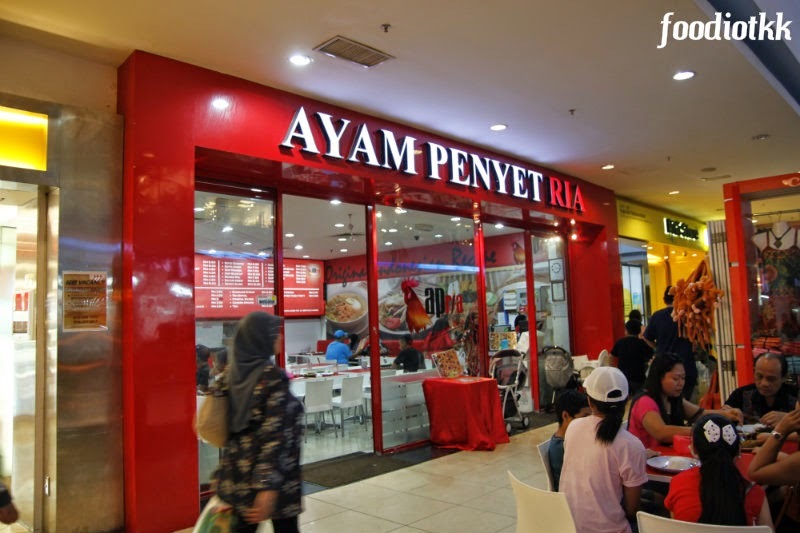 APRIA - short for Ayam Penyet RIA is opened inside Kota Kinabalu's largest shopping mall - the 1Borneo Hypermall. The restaurant is very easy to find - just next to DiGi Store or the flat escalator connecting Lower Ground Floor to Ground Floor. The restaurant is so popular and always full house, even the space below escalator found the dining table of APRIA! 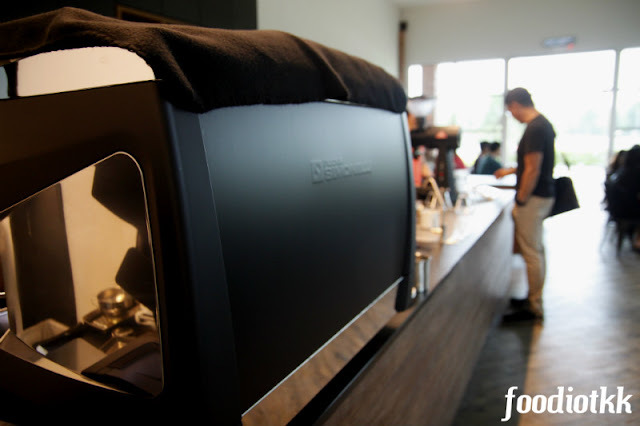 APRIA's one is quite hot, but not the hottest in town. They should give more. Rice and keropok is RM1.50 each. Tempeh is available here but need to order separately. 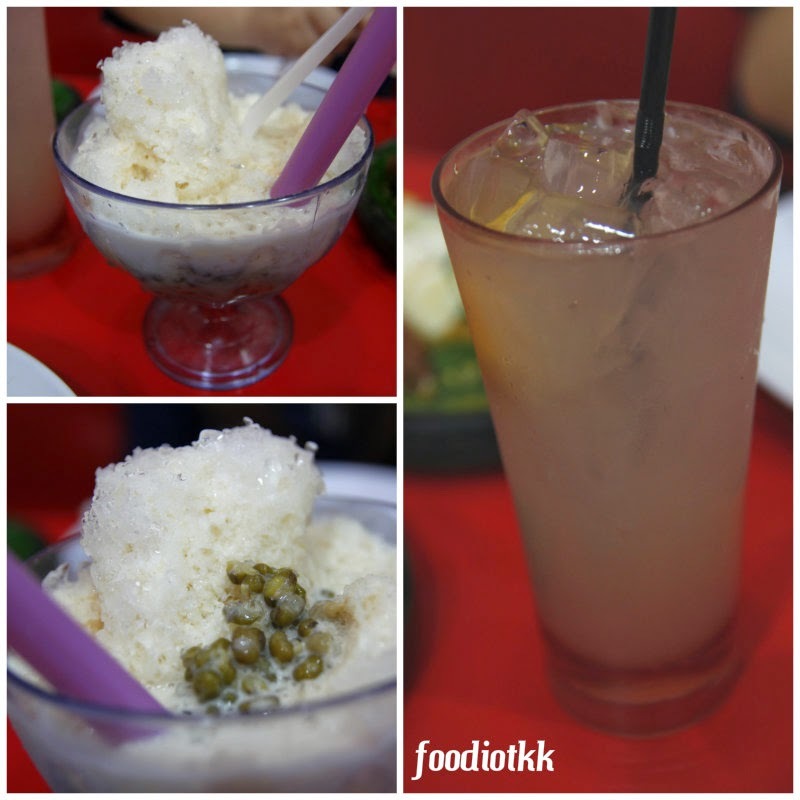 Besides chicken, you can find the choice of Ikan Penyet as well! 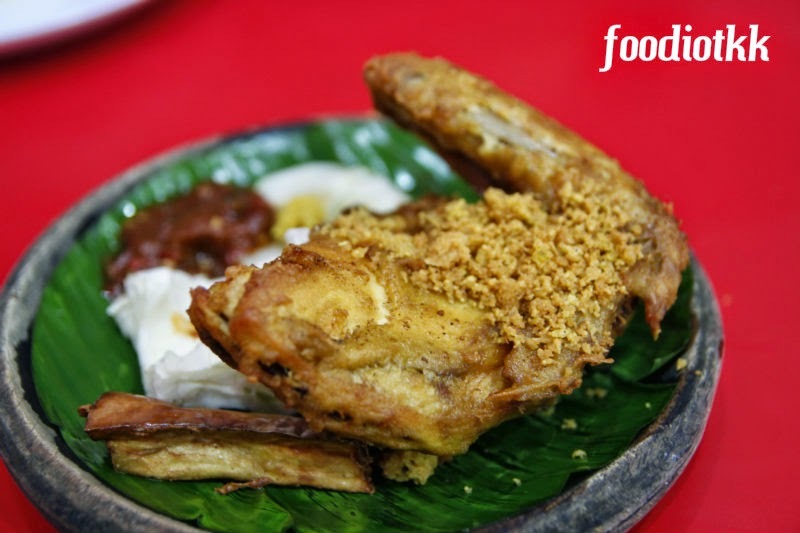 A complete set of APRIA's Ayam Penyet is cost at least 50% more than the other Ayam Penyet in town due to the location inside a shopping mall. Despite the higher price tag, APRIA is one of the most popular restaurant at 1Borneo after fast food chain like KFC and McD.